Are You And Your Business Ready for IPv6? If your business relies on the internet then you need to ensure you’re prepared for the move to the new IP address protocol, better known as IPv6. Don’t worry, at UKFast we have got it covered and have pulled together a few commonly asked questions to help you understand what IPv6 means for you and your business. So, what is it and what do you need to do? Let’s start with some basics. An IP address, or internet protocol address to give it its technical name, is what computers, networks and other devices use to communicate over the internet. Now, if you found yourself lost at the word protocol then don’t panic, this brief guide has been compiled to help you understand a little more about the forthcoming changes and how they affect you. The current IP addresses that are assigned to practically every device that can access the internet – computers, smartphones, cameras – currently follow what is known as the IPv4 naming scheme, which was developed in 1977. You have probably seen an example of IPv4 and not even know what it was; it looks something like this 80.244.179.100. This is an IP address. Simply put, IPv6 is the latest version of IP address that is being adopted by the internet. In really simple terms, it means that the internet is expanding its address directory to allow more devices, such as smart phones, tablets and even cars, to connect. Why do we need a new version, what is wrong with the old one? Prior to the 1990s, consumers and internet users accessed the internet through dial-up modems, remember them? However, with the rapid growth and use of ‘always-on’ connections like broadband, address consumption has increased beyond anyone’s imagination. On top of this, the expansion of mobile and tablet devices has added to the quick depletion of any remaining IP addresses. This is where IPv6 comes in. 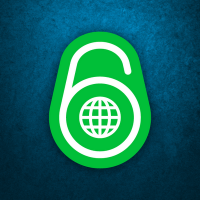 The Internet Engineering Task Force (IETF) created IPv6. The IETF is a large open international community of network designers, operators, vendors and researchers all tasked with the evolution of the internet architecture and the smooth operation of the internet. Its goal is to make the web work better for all of us. Will IPv6 addresses run out eventually? No. An enormous amount of IP address space exists under the new protocol – there are 340 undecillion (that’s 340 trillion trillion trillion) addresses available with IPv6. This addressing capacity will enable the trillions of new addresses needed to support connectivity for a huge range of devices such as phones and tablets, household appliances and even vehicles. Good question. IPv5, also called the Internet Stream Protocol, was developed in the 1980s as an experiment. It was created to transmit audio, video, and simulations over the internet. While it did gain some popularity with large corporations it was never used as an official protocol like IPv6 is being used. In its original form, IPv5 was never really widely distributed. It was, however, adapted and developed into what’s now known as ST2. But thats another story. What is UKFast doing about it? Being at the cutting edge of technology, UKFast has known about this change for some time and we have been working hard to ensure the transition from IPv4 to IPv6 is as smooth as possible for our customers. Construct a list of vendor dependencies for your computing environments and confirm that they’re IPv6-ready. Review the software applications on your websites for IPv6 compatibility and adjust them as needed. Assess your configuration for any hard-coded IPv4 addresses or formats, and formulate a plan to replace them. After you do this, you can start building a list of required actions and scheduling time for the tasks you’ll need to perform to get IPv6-ready.Please get in touch with your account manager if you have any questions about these changes. Remember Remember the Month of Movember!